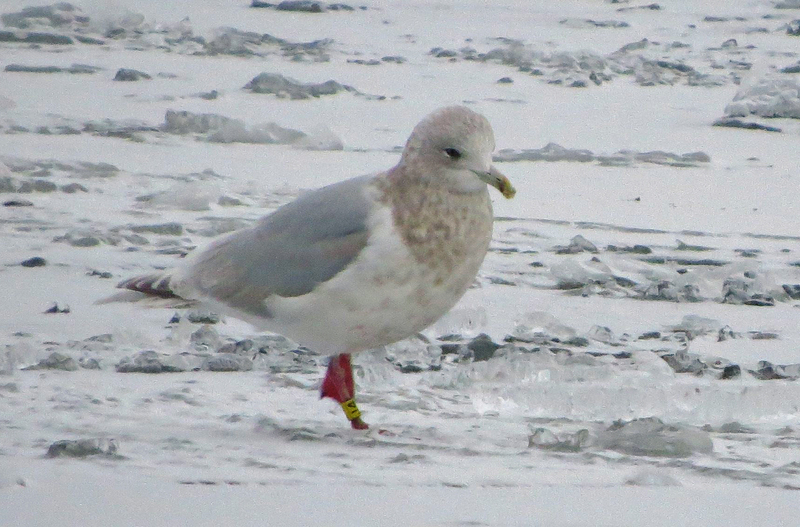 Iceland Gull (kumlieni) J4 2nd cycle - 3rd cycle (2CY-4CY), December 2013, December 2014 & January 2015, Quidi Vidi Lake, St. John's, Newfoundland. Picture: Alvan Buckley. 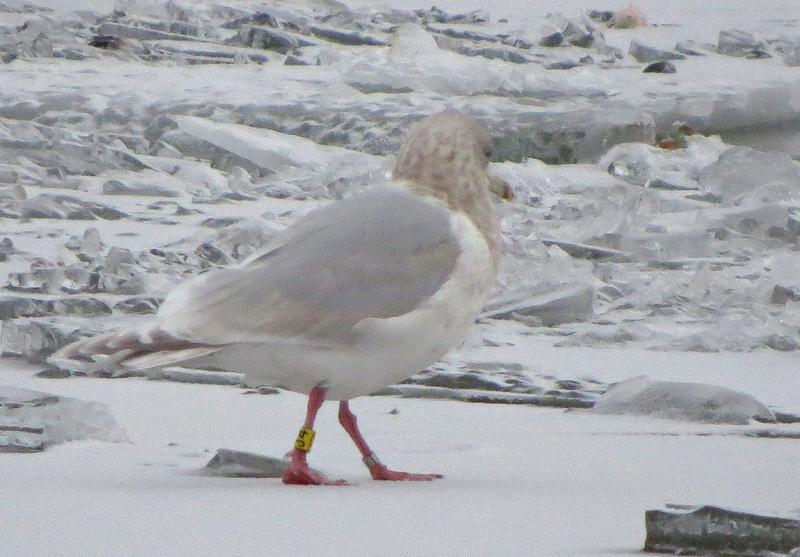 Yellow J4, banded as 1st cycle / 1st winter in January 2013, in St. John's, Newfoundland (LAT: 47.80833; LON: -52.80833). Detailed banding data still pending. 2nd generation flight feathers (compare to 1st cycle bird right). About half of the scapulars are plain grey without patterns. In fall, a partial autumn moult included the upper tertials and some inner coverts which now (as 3rd gen feathers) show a slightly difefernt pattern. 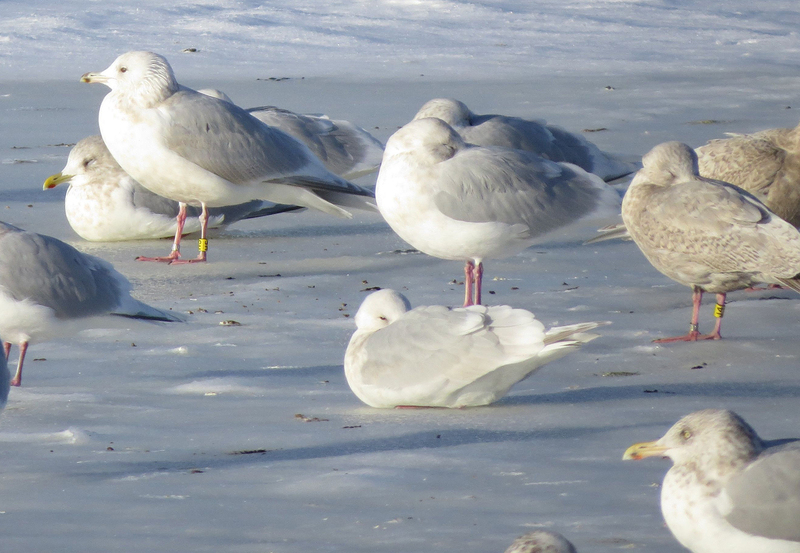 below: Iceland Gull (kumlieni) J4 3rd cycle (4CY), January 07 2015, Quidi Vidi Lake, St. John's, Newfoundland. Picture: Alvan Buckley. 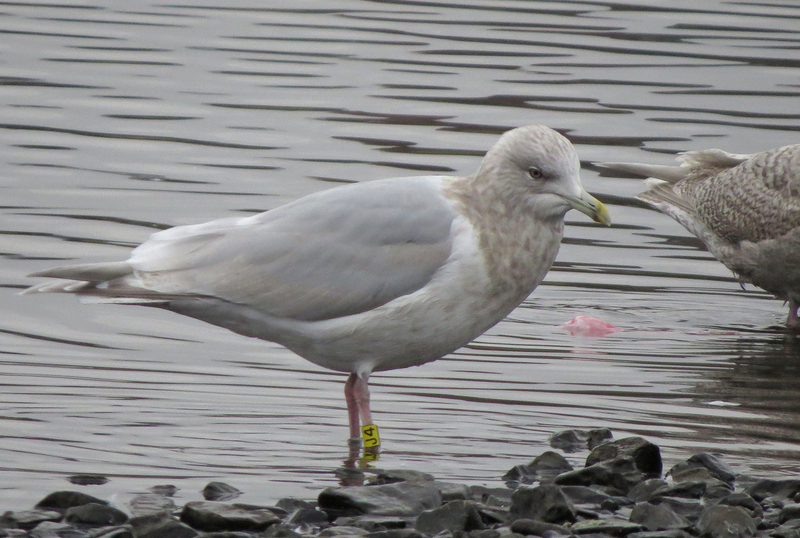 below: Iceland Gull (kumlieni) J4 3rd cycle (3CY), December 24 2014, Quidi Vidi Lake, St. John's, Newfoundland. Picture: Alvan Buckley. 3rd generation flight feathers. Note brown wash on lower tertials and greater coverts. 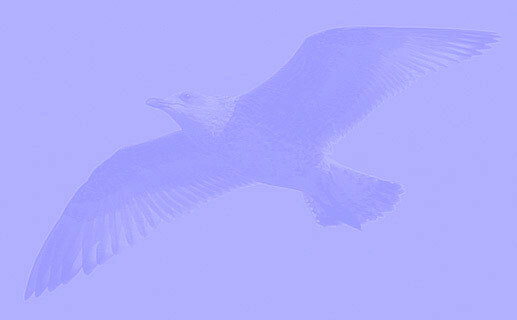 Typically the upper tertials and median covert row have been replaced more often, and now more adult-like grey. 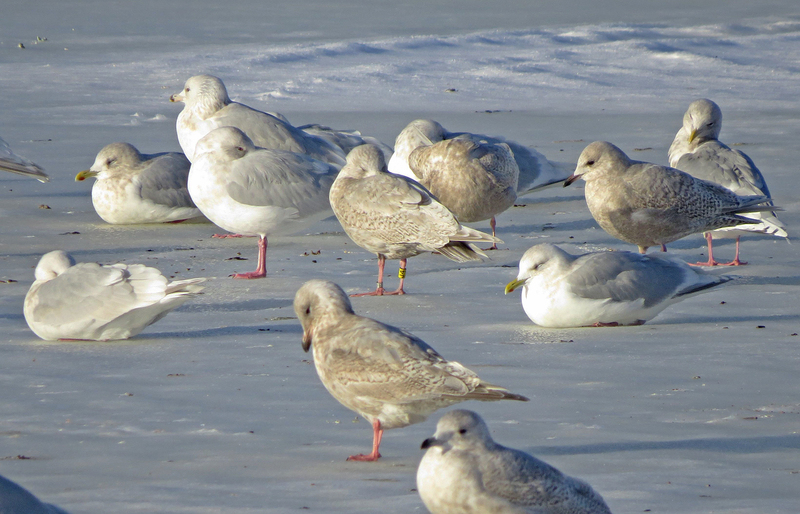 below: Iceland Gull (kumlieni) J4 2nd cycle (2CY), December 31 2013, Quidi Vidi Lake, St. John's, Newfoundland. Picture: Alvan Buckley.